SKU: KYZG8302. 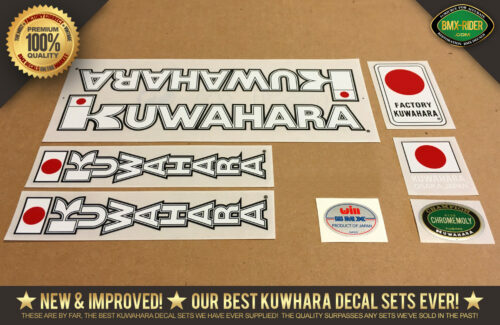 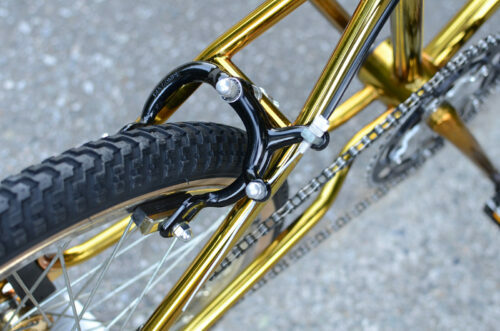 Categories: Complete BMX, Kuwahara, KYZ. Tags: 1983 Kuwahara KYZ Gold Edition, Gold Kuwahara, Limited Edition Canada. 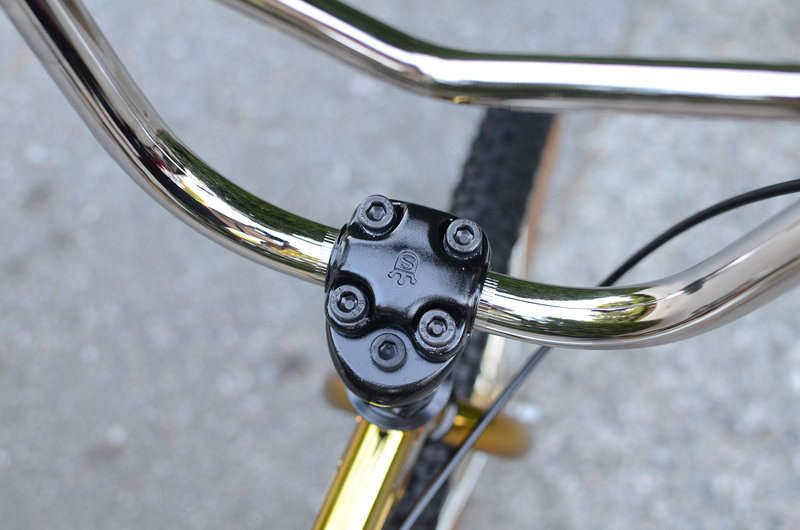 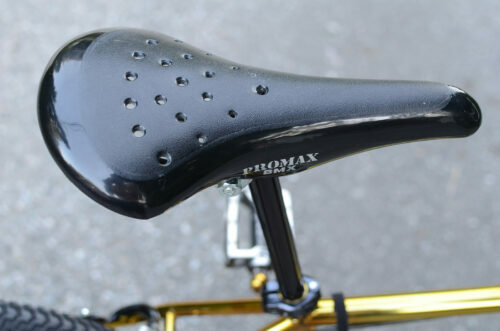 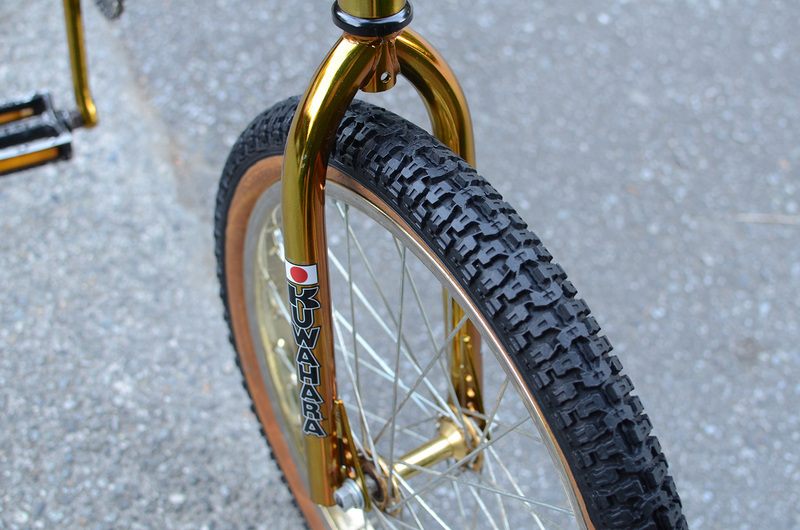 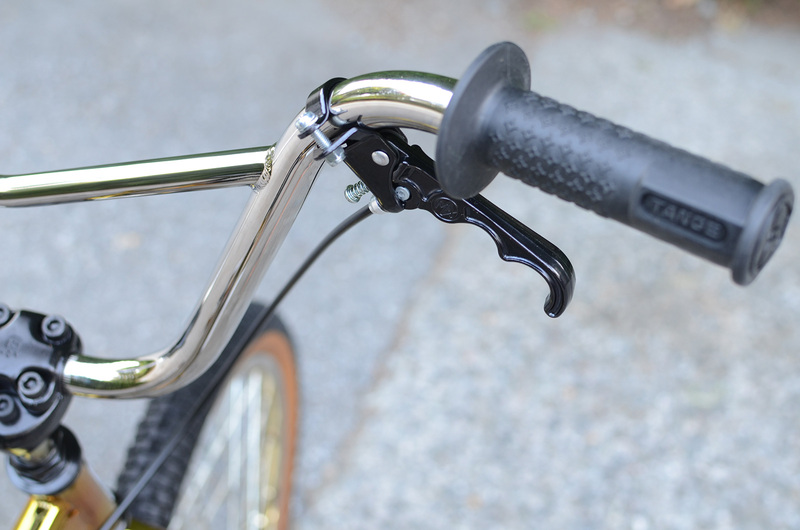 This is a Absolutely Stunning 1983 Kuwahara KYZ Gold Edition old school 1980’s vintage BMX!! 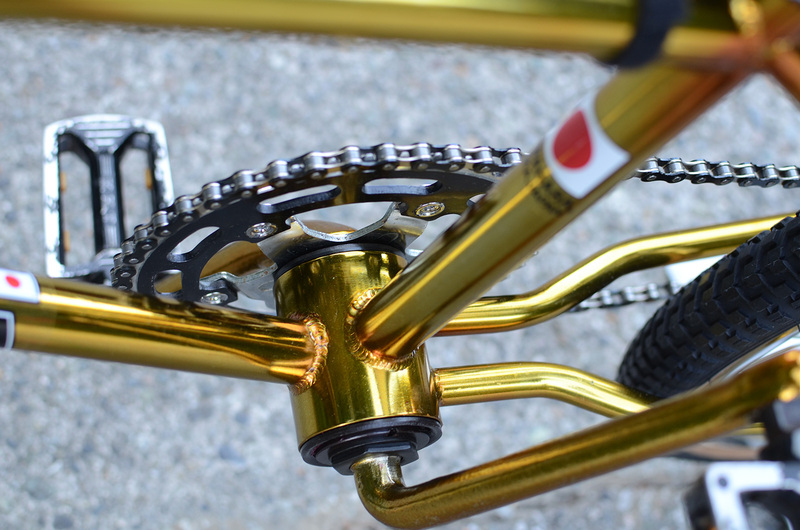 In Canada, as an anniversary model for the Cap’s Bicycle store chain, the KYZ was released in a rare Gold color back in the day. 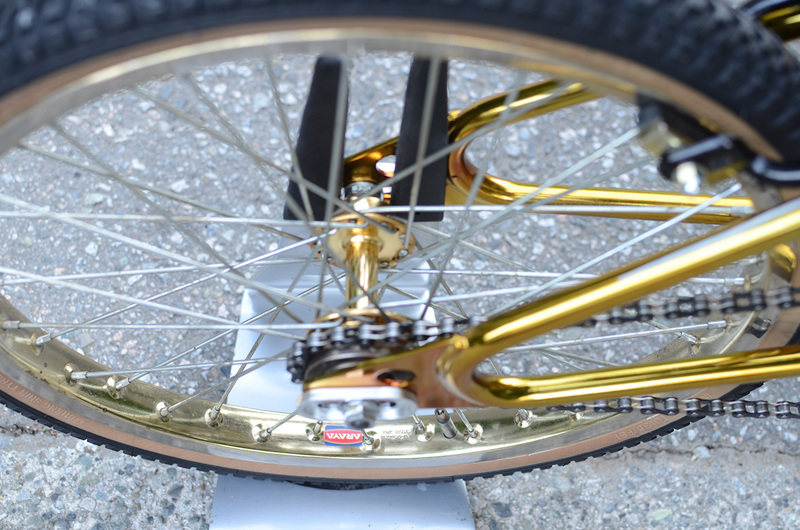 Only KYZ’s came in this color. KYZ’s came with higher end and lower end parts. 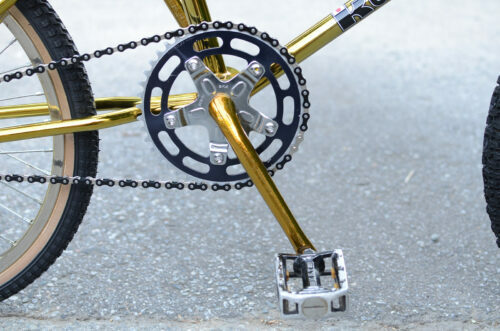 This one came with the higher end parts. 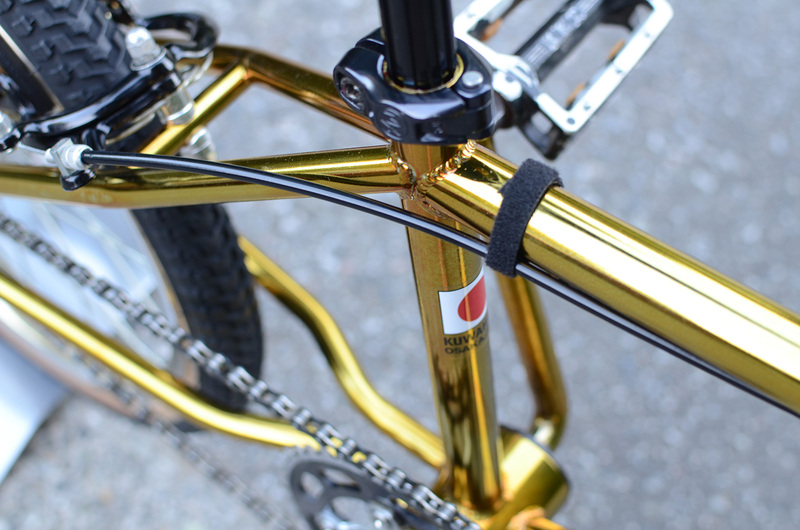 This beautiful special Gold KYZ has been restored to its original glory! All the parts are Original to the bike and/or Factory Correct except the Nitto layback seat post, rear snakebelly tire (the original IRC snakebelly was worn out), small parts like chain, headset and bb. 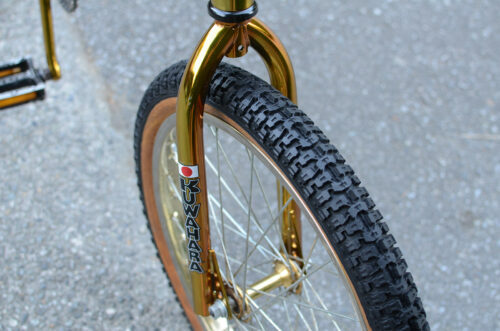 Everything else, came with the bike! 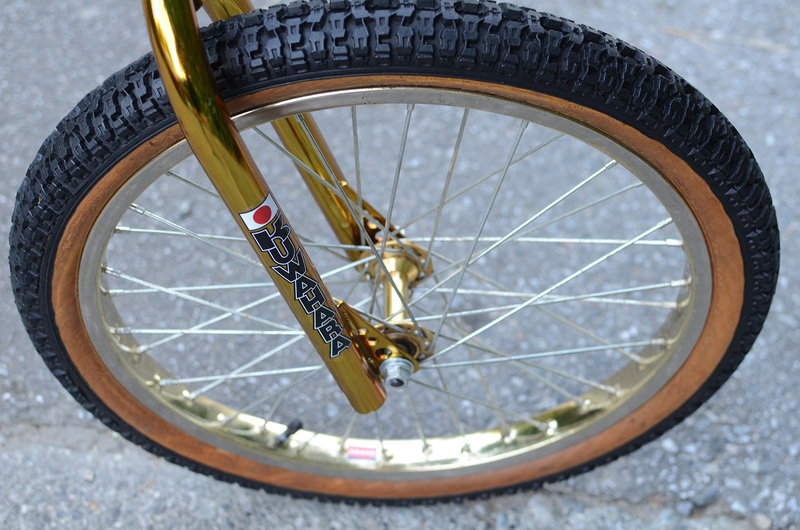 A must have in your collection with its “Kuwahara” stamped IRC racer snake belly front tire, Promax seat in excellent condition, WIN V-Bars, Araya wheels and of course the restored gold lacquer paint.